The Epiphone Les Paul ’56 Goldtop is an incredible reincarnation of the guitar heard ‘round the world. When it was released in 1952, original advertisements for the Goldtop Les Paul read "designed by Les Paul and enthusiastically approved by top guitarists everywhere." Time has proven that to be an understatement! 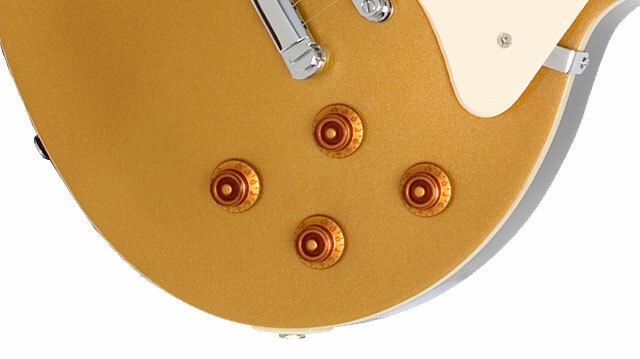 The Les Paul Goldtop was a radical design for its time. Even Gibson was so unsure of the model that at first, they hesitated putting the company name on the headstock. Whenever Les visited Epiphone, he always got a kick out of telling us that story, especially since the hard work and sweat that went into his design was originally done under the roof of Epiphone in New York City. Many musicians choose Epiphone for all their acoustic and electric needs thanks to our pioneering Limited Lifetime Warranty and Gibson 24/7/365 customer service. Make history today with the Les Paul ’56 Goldtop. The ultra classic Les Paul ’56 Goldtop starts with the iconic Les Paul shape, still cut from the same legendary tooling specs as it was in the early days with a mahogany body and hand-set mahogany 24.75” scale neck. 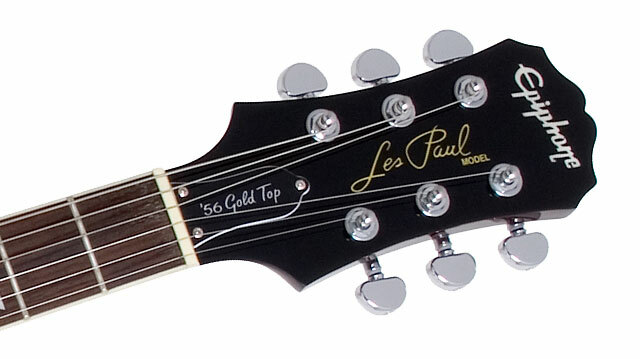 Like the original, the Epi Les Paul '56 Goldtop features a rosewood fingerboard with pearloid trapezoid inlays, a 1.68” nut, 22 jumbo medium frets, and Les’ iconic signature on the headstock and truss-rod cover. 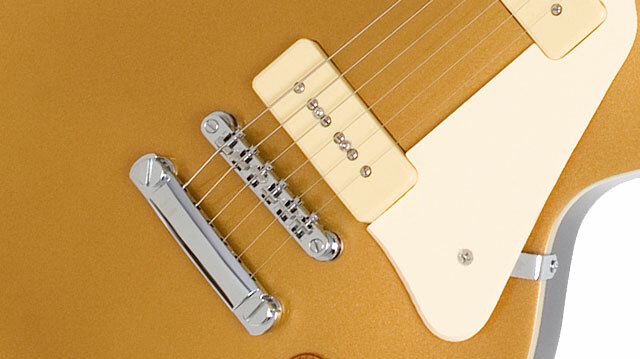 Over the years, Les Paul enthusiasts have become so obsessed with the ‘Burst they often forget that many players first fell for the Goldtop during the guitar's "P-90" era. Just like the original, the Epiphone ’56 Goldtop features 2 cream soapbar P-90 Classic pickups that when combined with the mahogany body, give the Les Paul a familiar yet still totally unique timbre. Epiphone always uses all-metal hardware including a 3-way toggle switch, a nickel LockTone™ Tune-O-Matic StopBar bridge, full function volume and tone knobs using full-size 500K O potentiometers, and premium die-cast 14:1 tuners.